“Mom, are there going to be sharks in the water?” When I was growing up, that’s one of the questions that I regularly asked when my family was headed down to the coast for a beach vacation. Now, I live on the Gulf Coast and see the beach nearly every day. So, what I see on a regular basis is the same thing a tourist might expect to see while visiting the local beaches. Dolphins are fairly easy to spot in the Orange Beach and Gulf Shores, AL, area. As a matter of fact, I just spotted one while working on this blog post. You probably won’t see them every day, but if you keep an eye out, over the course of a day or two, you are likely to see one. Also, if you are really interested in seeing one of these fun loving and playful animals up close, you may want to go on a dolphin cruise. There are several companies that will take tourists, or locals, out for guaranteed dolphin sightings. 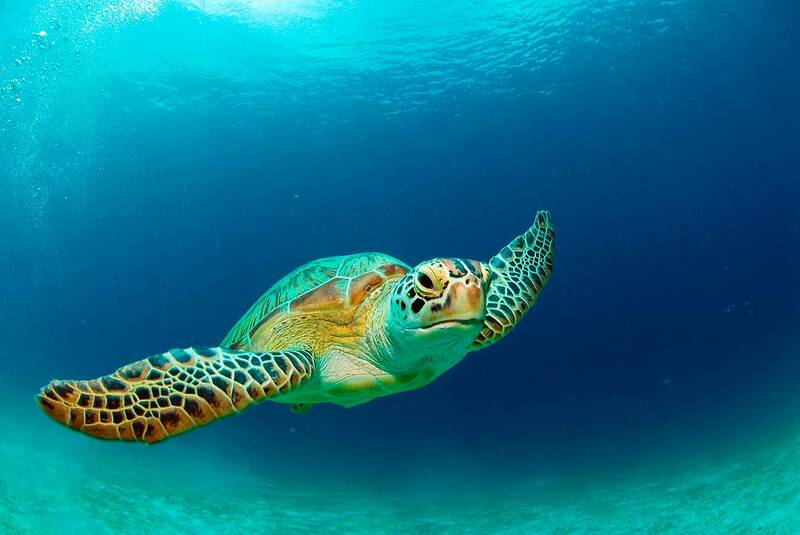 The Gulf Coast is the birthing ground for a host of sea turtles that are hatched every year. Between May and November, Share the Beach volunteers, http://www.alabamaseaturtles.com, actively search for sea turtle nests in Orange Beach, Gulf Shores, and Dauphin Island. When they find the fragile nests, they mark the buried eggs with neon tape and a sign indicating they are protected by the Endangered Species Act. If you time it just right, you might be lucky enough to watch the baby sea turtles hatch and make their way down to the water to embark upon their first sea voyage. I haven’t seen too many turtles during day-to-day life, but volunteers for this year found and marked 82 nests along the Alabama coastline. Truth be told, I still haven’t seen any sharks in the Orange Beach or Gulf Shores area. That doesn’t mean they don’t exist. I hear the locals say that shark feeding time is during dawn and dusk. So, if you want to go in the water when the sharks are least likely to be there, then I would recommend going during the middle of the day. When it comes to being attacked by marine life, you may want to beware of crabs. They might grab your foot from time to time. Also, make sure you don’t get too near the stingrays or jellyfish, both of which are native to the Alabama Gulf Coast. The ocean is fun, and people who are fortunate enough to visit the Gulf Coast will see a variety of marine life. I hope you get the chance to visit the area, enjoy your stay, and keep safe. Also, pay attention to the beach flag system, which indicates water conditions, including dangerous marine life.